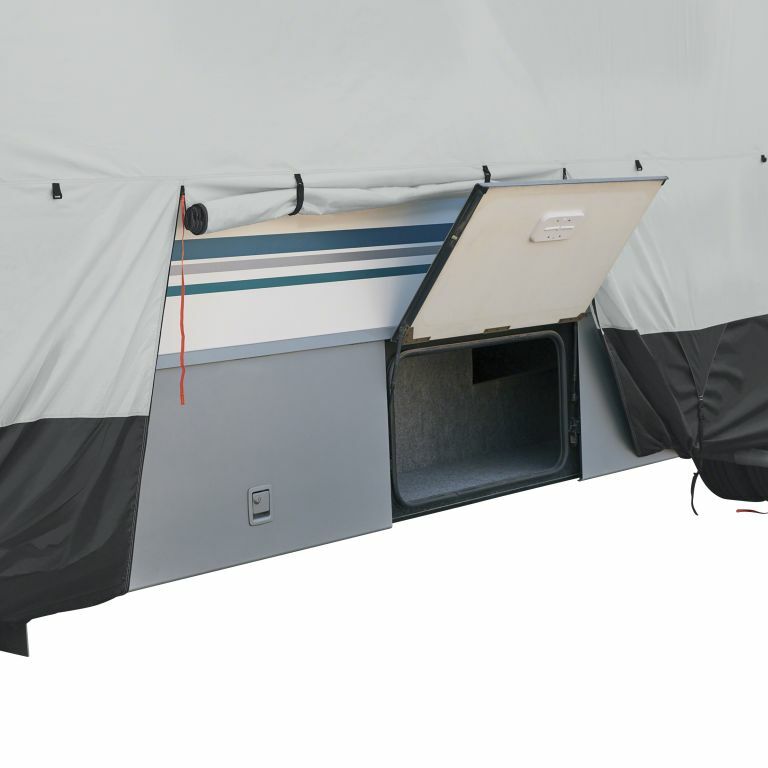 The NEW SkyShield™ Class C RV Cover comes with a DuPont Tyvek top for UV and water protection, integrated undercarriage strap system with multiple click-close straps and a weighted toss puck system eliminates crawling under the RV. 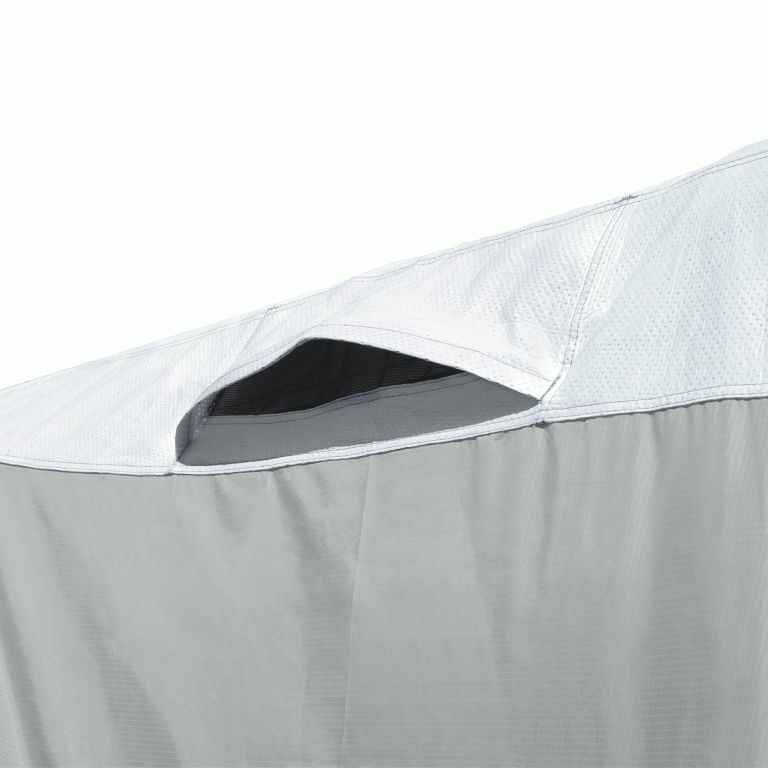 Adjustable front and rear tension panels provide a custom fit, air vents reduce wind lofting and inside moisture, and tension panels spread stress during windy conditions. 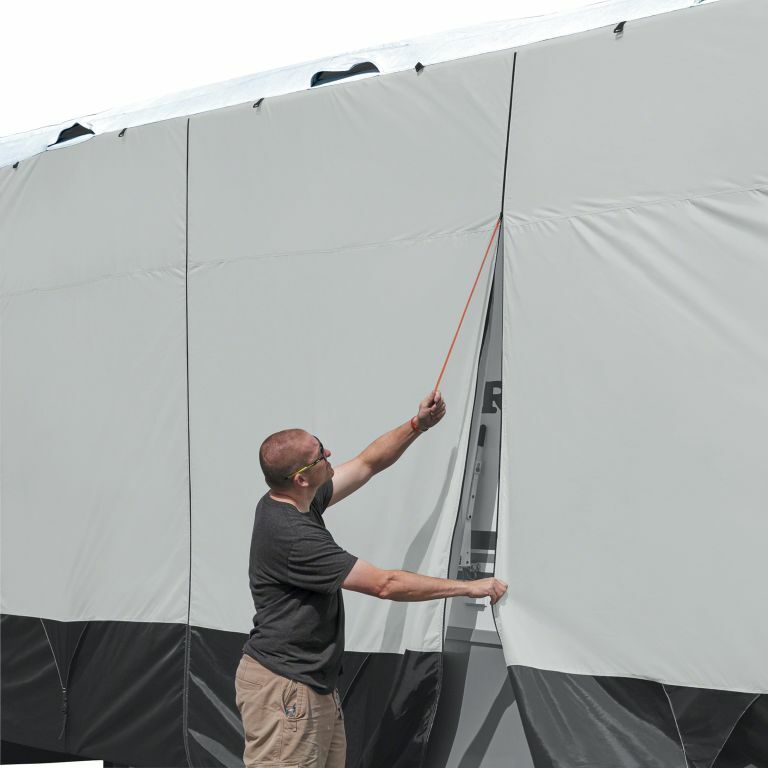 SkyShield Class C RV protective covers are easy to maintain and keep clean and comes with a compression bag for easy packing. 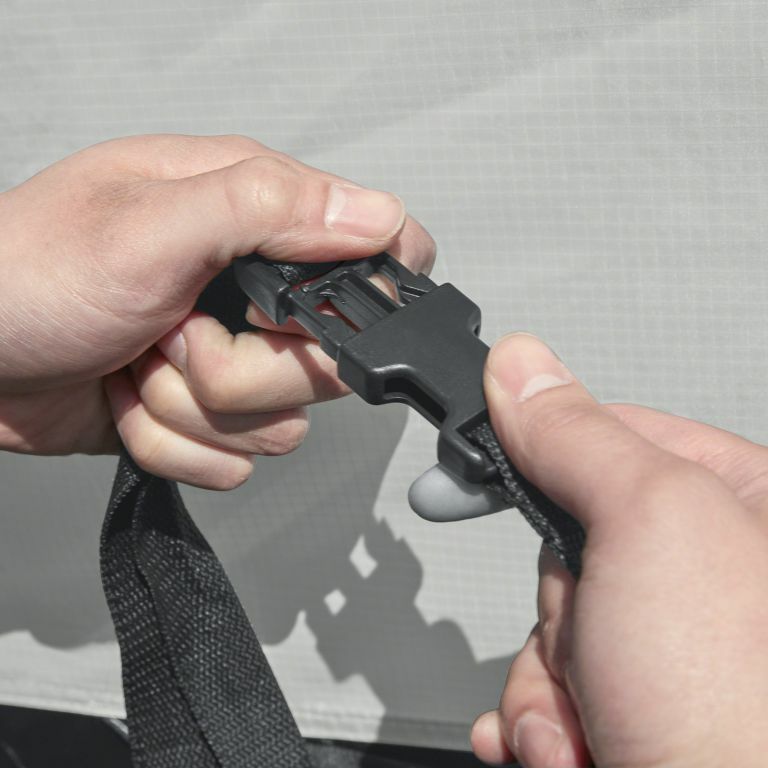 All covers come in a Black, Grey and Snow White color combination that coordinates with just about any outdoor décor.